It seems that each time a Daniel Silva novel involving Gabriel Allon, the master art restorer/Israeli special operations practitioner is published conflict in the Middle East region flares to a new level. This summer is no exception as Israel trades rockets with Hamas in Gaza; ICIS has taken over large swaths of territory in Syria and Iraq, and the mass killings by the Assad regime in Syria continues. Silva’s current volume, THE HEIST is a typical Allon yarn with periodic references to world events interspersed. The book opens with the murder of a former British spy turned art middleman named Jack Bradshaw whose body is found in Lake Como, Italy by one of Allon’s circle of friends, the London art impresario, Julian Isherwood. From that point on the plot is a bit different from the normal Allon escapade. 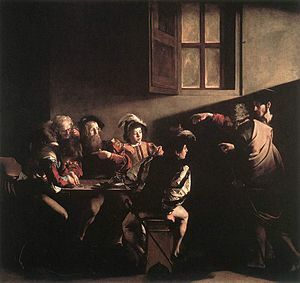 It centers on an art scam concocted by Allon to recover the Italian Renaissance painting, Nativity with St. Francis and St. Lawrence, by Michelangelo Merisi da Caravaggio. As the initial plot unfolds characters from previous novels make their appearance, some with major roles. Those familiar with previous works by Silva will recognize the assassin, Christopher Keller; Don Aton Orsati, the Corsican mobster; and the Swiss NDB counterterrorism expert, Christoph Bittel. After reading about two-fifths of the novel the first plot comes to a conclusion and we are exposed to the second that is more in line with the previous formula used by Silva in his Allon series. During the first part of the novel the reader is exposed to the underworld of the high end art trade that exists, particularly in Europe. Allon emerges from this section of the story uncovering an ingenious way to preserve wealth that leads to the Assad family in Syria. Silva’s thesis, based on significant contemporary research seems quite accurate, that the Assad family and their allies have hidden billions of dollars in wealth in banks in many parts of the world. Realizing that some of this wealth has been frozen by certain governments and more might be in the future, the Assad dynasty uses stolen art as a hedge against any future loss of wealth that might detract from any exile should the dictator of Damascus be overthrown. At the conclusion of the first plot, Allon realizes that art is a conduit to Assad’s wealth and he has squirreled away billions of Euros across the globe. Allon designs an intricate sting to try and make Assad’s wealth vanish. The usual suspects make up Allon’s team; again many have appeared in previous novels. We welcome Eli Lavon, now an archeologist; Uzi Navot, soon to be replaced as the head of Israeli intelligence; Allon’s now pregnant wife, Chiara; Viktor Orlov, the London based former Russian oligarch; and Nigel Whitcomb and Graham Seymour, both of MI6 among others. There are a number of new characters as Silva weaves his way through the underside of the European banking system and the intricacies of Syrian intelligence. It took me a little longer than usual to get hooked on Silva’s plot line, but once I did it kept me in its grip. To Silva’s credit, he avails himself of any chance to integrate the true background history of the story whenever he can. In introducing the character of Jihan Nawaz whose family was killed by the regime of Hafez al-Assad in the massacre of Hama in 1982, Silva provides a mimi-biography of the dictator who ruled Syria from 1970 to his death in 2000 and his attempt to wipe out the Moslem Brotherhood who opposed his regime. When speaking about Russian support for the current leader of Syria, Bashir al-Assad, Silva explains the Russian-Syrian connection and the role of Putin, and the recent Russian seizure of the Crimea. In fact, had Silva waited a few months and postponed publication he could have worked in further developments in the ongoing Syrian civil war and Putin’s attempts to seize eastern Ukraine and his role in the downing of the Malaysian passenger air plane a few weeks ago. If you have followed the previous thirteen Allon mysteries, the current episode should be satisfying, but I wonder after fourteen books if Silva’s formula is becoming a little stale.